Useful for mobile phones, PDA, PC & many other applications. All tips are made of supreme chrome/vanadium steel. All neatly stored in its secure tailor case. Maintenance lover’s ideal indispensable tool. 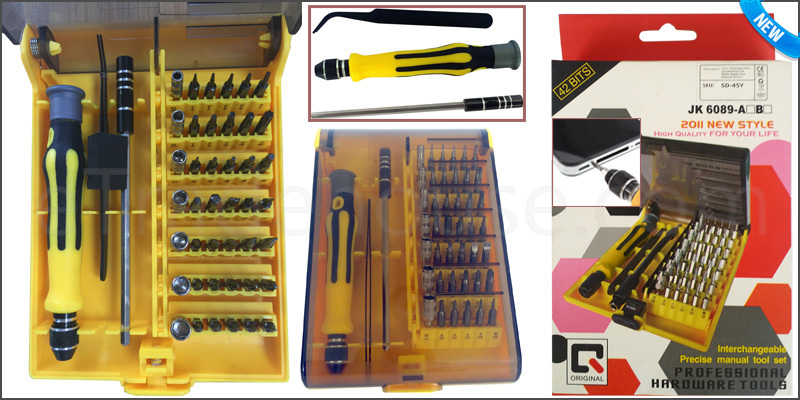 Torx bits: T4, T5, T6, T7, T8, T10, T15, andT20. Phillips bits: PH00, PH0, PH1, and PH2.